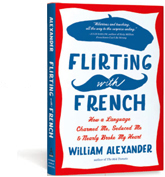 For those of you who follow my blog, but haven't read my book, Flirting with French, here's your chance. For the month of June, you can get an e-book of Flirting (Kindle, Nook, Apple) for only $1.99! If you have read it, surprise your Francophile friends with a gift. They'll never suspect how little you spent. or visit the Apple Bookstore from your iOS device. I'm french, I bought your book on Kindle and I've just finished reading it. It was a wonderful journey, which made me laugh, cry and smile at the appropriate places. But mostly laugh out loud, you have a delightful sense of humor. Merci beaucoup pour ce partage et ce bon moment. 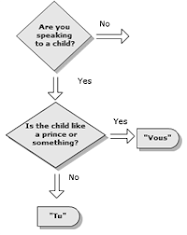 J'espère que votre coeur va bien.